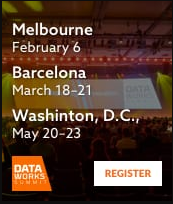 After we have done our data exploration with Apache Zeppelin, Hortonworks Data Analytics Studio and other Data Science Notebooks and Tools, we will start building iterations of ever improving models that need to be used in live environments. These will need to run at scale and score millions of records in real-time streams. These can be in various frameworks, versions,types and many options of data required. There are a number of things we need to think about when doing this. There are a number of options for running Machine Learning models in production via Apache NiFi. I have use these methods. We can deploy Deep Learning Models and run classification (as well as training) on YARN natively. Kafka Streams has full integration Platform services including Schema Registry, Ranger and Ambari. We can use a custom processor in Java that runs as a native part of the dataflow. Apache MXNet has an open source model server that has a full REST API that can easily be integrated with Apache NiFi. TensorFlow also has a model server that supports gRPC and REST. SAM supports running machine learning models exported as PMML as part of a flow.